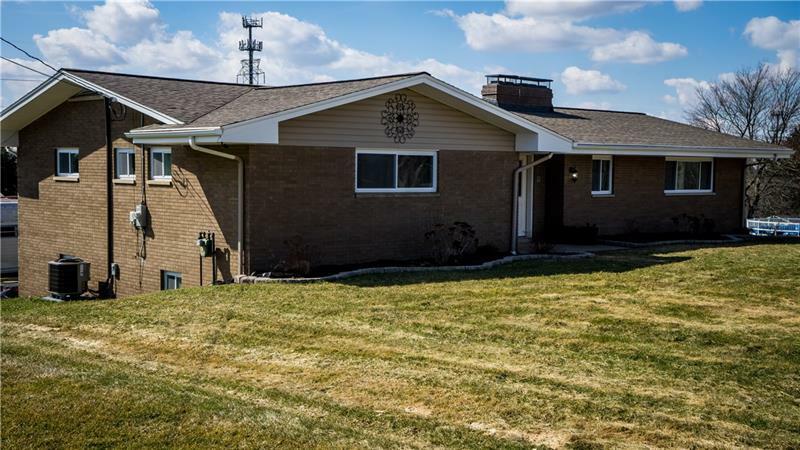 Spacious all brick ranch offers large living room fireplace, formal dining room, kitchen w/granite countertops and stainless steel appliances, and large pantry/laundry room! Lower level features expansive family room with log burning fireplace and full bath! Master bedroom with en suite and walk in closet. New central air, all public utilities, and minutes to Route 8N, this expansive home is perched on a level lot and offers a two stall garage and paved drive as well!